Anthony Gonzalez from Oscar-Winning Animated Film, "COCO" Visits Seacrest Studios! 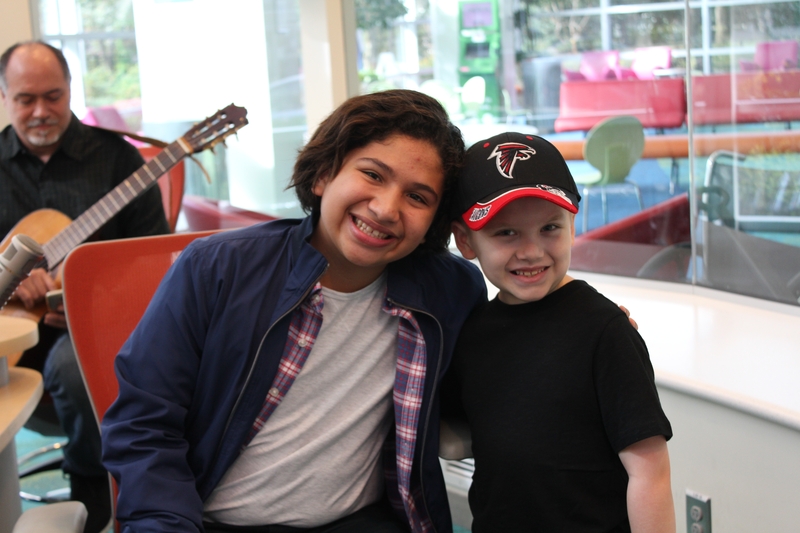 https://youtu.be/LeaKgXqDg2g In celebration of the DVD release of the award-winning Pixar movie, “COCO”, Anthony Gonzalez, the talented 13-year old actor who provided the voice of Miguel, stopped in to visit with patients and families in Seacrest Studios at Children’s Healthcare of Atlanta. Anthony is every bit as vibrant as the Oscar-winning film for Best Animated Feature, it’s no surprise he won the lead role! He has been performing since age 4 and because he was blessed with a beautiful voice, he was happy to perform several songs from the movie including the film’s Oscar-nominated song “Remember Me.” Patients gushed over him, the film and all the movie swag Anthony brought with him – mini blow-up guitars, stickers and big, colorful movie posters (which look great on white patient room walls by the way!) Congratulations to “COCO” for winning Best Animated Feature at the Academy Awards!